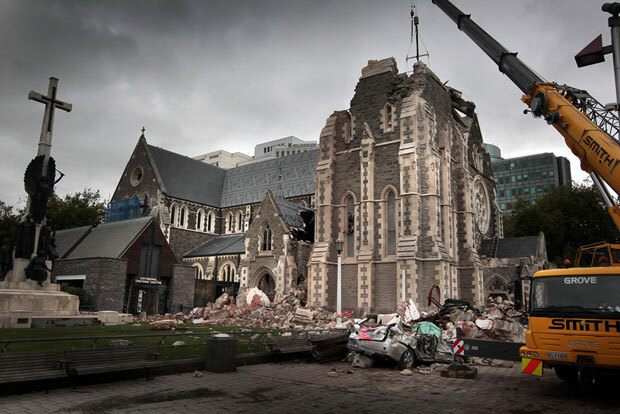 A magnitude-6.3 earthquake today hit Christchurch, New Zealand. Although less powerful than the one that struck in September last year, it is much more devastating. Many buildings in the city were demolished, including its iconic cathedral. The casualty toll currently stands at 63, but is expected to climb above 100 in the next few days. Today's earthquake struck 45km west of the city and is only 5km below the surface. This aftershock is much closer than the quake that registered five months earlier. My condolences to those affected and I hope the city can rebuild from this unfortunate episode!